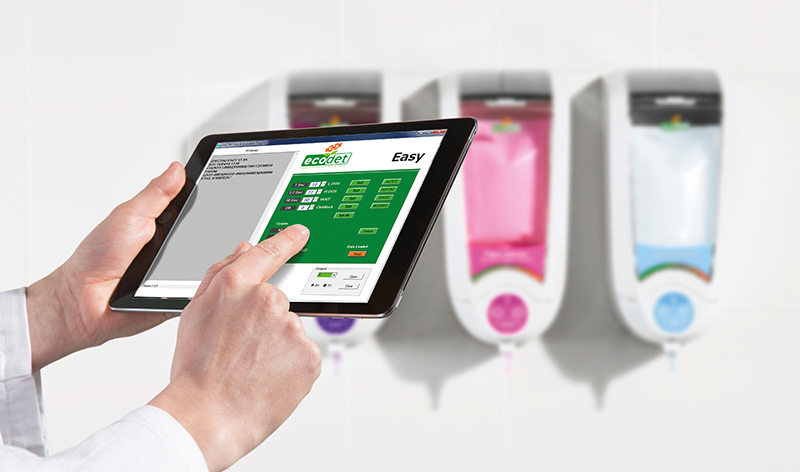 The Easy dosing system is very user-friendly, with distinct symbols, colours and numbers. Furthermore, the dosing system can be perfectly adjusted to every situation. Because of this feature, we can guarantee a great result. Our highly concentrated laundry detergents will provide a low costs per dosage, therefor less stock is needed, will reduce the amount of waste and logistic movement. 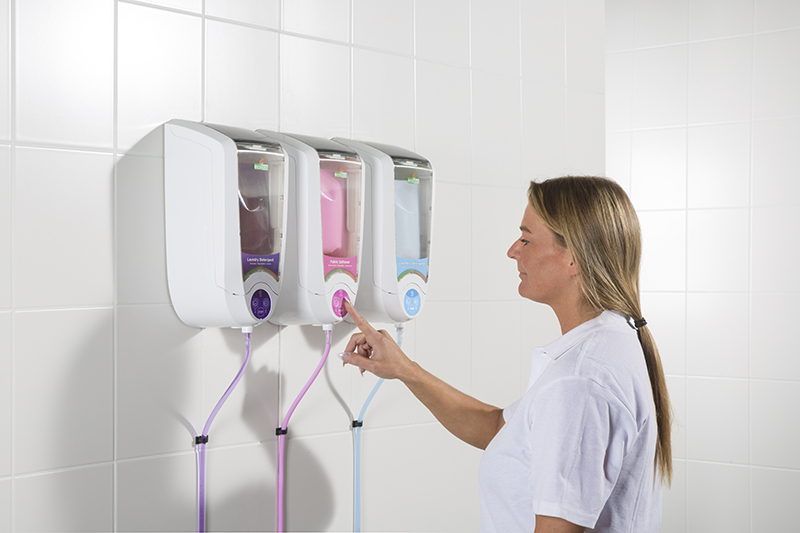 In addition there is no need to invest in the dosing system, it is easily installed and maintenance-free. Our products cannot be used without our dispensers, which makes theft pointless. The pouches are only accessible with the use of a special key. Child-lock is optional for an even safer use.